For over 50 years, hot rods and car enthusiasts have been an important contribution to the Castlemaine community. One of Australia’s oldest hot rod clubs was formed in 1962 known as Castlemaine Rods and also based in Castlemaine is the Australian Street Rodding Magazine which has been the bible of hot rodding since 1977. Many local hot rod enthusiasts have spent decades to establish the hot rodding industry in the local area and it has now become an important industry in Castlemaine that supports the local economy and has brought in significant amount job opportunities to the area. In order to maintain Castlemaine’s hot rod culture, locals became aware of the risk to the local community if industry businesses were sold and potentially relocated. The problem became a priority during discussions at Castlemaine Rod Club meetings and the outcome was what is known as the Castlemaine Hot Rod Centre today. 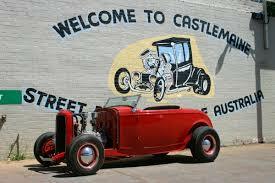 There is no doubt that Castlemaine is the hot rod capital of Australia. Every year, thousands flock to Castlemaine from all over Australia. Featuring an invited list of some of the most spectacular hot rods in Australia, it is a time where interstate show cars are being transported if not driven to participate in a showcase that celebrates what is a tribute to the traditional hot rod shows of the past. Visit the legend’s private museum, a collection of the vehicles that have been restored by hot rod royalty Rod Hadfield. Although he is now retired, his passion for hot rods is well and truly alive. Rod’s private museum does not have set opening hours, so it is best to phone in advance if you plan on visiting. Entry is $5 per adult and accompanying children are free. 624 Pyrenees Highway, Chewton. (03) 5472 4629. Vehicle Move – Getting to a Castlemaine event? Need your classic car or hot rod moved interstate? Compare vehicle moving quotes from professionals in vehicle shipment. Find the right vehicle transporter to suit your needs, fast! Hot Rod Centre Membership – Support the project and become a hot rod member. The centre is a not-for-profit company and every dollar helps with expenses to keep the project running. Members have the opportunity to be involved, share ideas and have exclusive workshop access. Victorian Hot Rod Association – Helps promote hot rodding as a major sporting and lifestyle activity in Victoria, it is a non-profit organization and base to find information for both members and the general public. 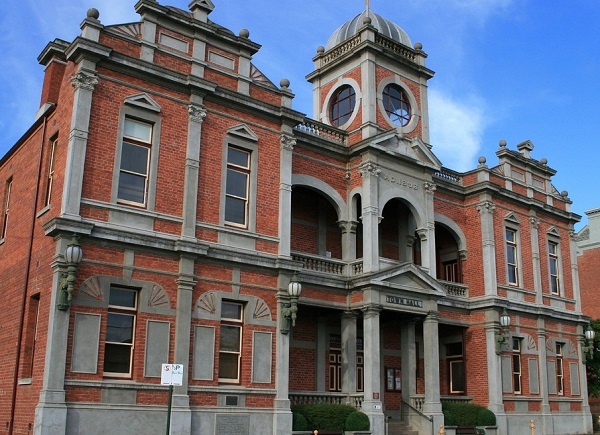 Castlemaine is a wonderful little town known for its thriving agriculture, tourism and arts industry. It has a rich history being a former gold mining town which can be seen throughout the town’s historic architecture with many magnificent colonial buildings to be admired. Some of the significant buildings still stand to show the prosperity the town had experienced during the 19th century when gold was discovered in 1851 and quickly populated to become a town on November 1st, 1853. 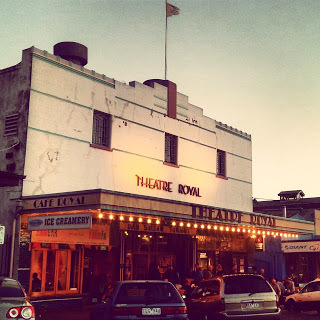 Castlemaine’s historic Theatre Royal was built in 1854 and is the oldest continually operating theatre in Australia, the Castlemaine Market is one of the most classical and distinctive historic buildings in Australia and was erected in 1861, the town hall built in 1898 still maintains its charm with distinctive red brick work whilst keeping its original internal elegance. 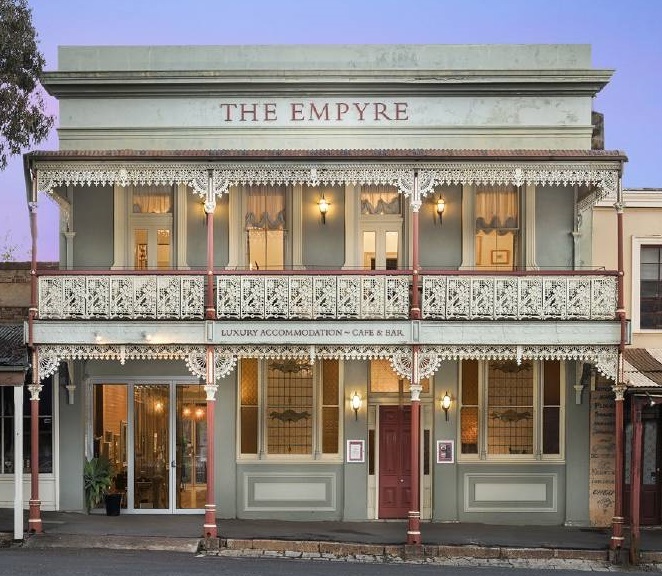 One of the most iconic buildings in Castlemaine is the hotel which has been operating as a luxurious boutique accommodation, boasting 6 bedrooms with ensuites, 3 reception rooms, fully equipped commercial kitchen with bar and cellar areas. Built in 1860, the hotel retains many features that reflect the era including high ceilings with elegant rosettes and cornices, fireplace mantels, English wallpaper and timber casements. Boogaloo Invitational – For all car enthusiasts, the event is a tribute to traditional hot rot shows of the past and is a wonderful display of various hot rods from the 40’s, 50’s and 60’s all in the one place. Castlemaine Diggings Heritage Park – is Australia’s first National park and covers 7,500 hectares covering significant cultural landscapes and relics of the historic gold rush. Old Castlemaine Goal – Built in 1861 with the last prisoners being moved out in 1990, the Pentonville-style goal has today become a highlight for tourists with guided tours through old cells and gallows. Castlemaine Art Museum – Housed in an art deco building, the gallery features contemporary Australian art as well as a collection of indigenous and colonial history.